End of the Month Blog: Nell’s Gone Aussie! Is it me, or are the months just rushing by? Believe it or not, it’s that time again…Over to Nell!!! Staying with the antipodeans for a mo, and jumping on the bandwagon of all the WWI hundredth anniversaries being celebrated (if that’s the right word?) between 2014 and 2018, on this 243rd day of the year in 1918, the Battle of Mont Saint-Quentin began. This was a successful assault by the Australian Corps during the Hundred Days Offensive, aka a rapid series of Allied victories starting with the Battle of Amiens. 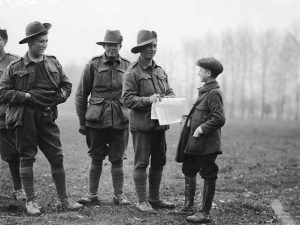 Defences were weakened by continual Aussie raids, the troops employing a process called ‘peaceful penetration’, which forced the German retreat from France to beyond the Hindenburg Line. Thereafter an armistice was declared. Call me picky, but a sentence that includes ‘raids’, ‘penetration’ and ‘retreat’ doesn’t immediately convey to me a particularly ‘peaceful’ option. 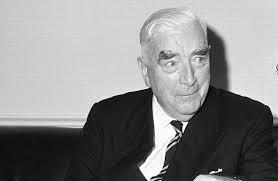 Former Melbourne lawyer Robert Menzies (which he pronounced Ming) and his funny eyebrows didn’t serve in WWI, even though he was of age, but he did authorise Australia’s entry into World War II in September 1939, when he was leader of the United Australian Party (UAP). However, in 1941 he spent four months in England contributing to Churchill’s War Cabinet powwows, and upon his return found he had lost the party’s support – how very fickle of them. Ming resigned as Prime Minister and in time helped form the Australian Liberal Party, being elected as its inaugural leader on this day in 1945. He again took office as PM in December 1949 and stayed put until 26th January 1966 (Australia Day), when he resigned. Born in 1940, multi-award winning Australian actor Jack Thompson celebrates his seventy-seventh birthday today. That wasn’t his name at birth, though – step forward baby John Hadley Pain. The poor little chap was just four when his mother died, leaving his merchant seaman father unable to care for him and his brother, David. 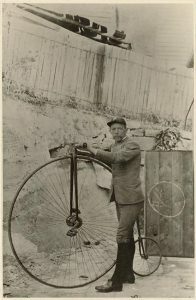 He was sent to an orphanage by his aunt and from there was adopted by John and Pat Thompson – hence the change of surname. Film reviewer Peter Thompson (also my dad’s name) is his adoptive brother – I’ve never heard of him either. 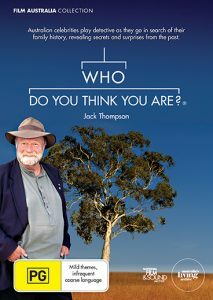 The Australian version of Who Do You Think You Are? featured the actor in its first episode in 2008, discovering that his great-grandfather was Captain Thomas Pain, and his great-great uncle Alfred Lee, a prominent figure in Sydney society. Philanthropist Alfred donated the journal of Sir Joseph Banks, British naturalist and explorer, documenting Captain Cook’s voyage to Australia in the 1770s to the Mitchell Library in Sydney. Bonza! Other actors sharing this birthday are; Richard Gere (loved Pretty Woman! 1949), Roy Castle (1932), James Coburn (1928), Buddy Hackett (1924) and Richard Basehart (1914). 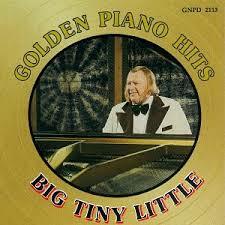 Although a pianist rather than actor, American Big Tiny Little (1930) earns his place on the list simply by virtue of his odd name. Using that criterion, let’s throw in Roman Emperors Caligula (scary chap! 12) and the outright winner, Commodus (161). People born under the Virgo sign are typically analytical, kind, hardworking and practical. They tend to worry, are shy and don’t like to be the centre of attention, as they are modest, faithful, and quiet folk. With a tendency to be persuasive, they have a good memory* and sense of reasoning and are skilled at detailed work. 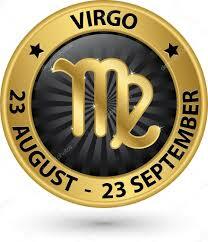 Virgos are also known for their intellect and usually embrace art, literature, science, or mathematics. Shall we plant our tootsies firmly back on British soil? In my August 2016 blog I mentioned that it was the OH’s birthday on the 31st – funnily enough, it is again this year. At least he’s consistent. (*Can I just mention here that he has a memory like a leaking sieve and is persuasive only because he is like a dog with a bone and doesn’t give up, so that others eventually lose the will to live and capitulate?) Again, it’s the anniversary of Princess Diana’s death, twenty years ago now – a twentieth wedding anniversary is china, but I’m not entirely sure how that would translate to the anniversary of a death. Quite possibly in no way at all, although I’d hazard a wild guess some wannabe entrepreneur somewhere has mass-manufactured a tacky commemorative mug. 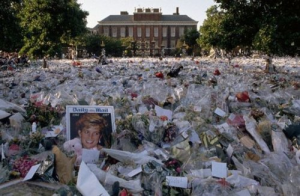 Was it really two decades ago that the accident happened, opening the floodgates for conspiracy theorists everywhere – not to mention making lots of florists rich when the public en masse bought bouquets, only to leave them rotting outside Kensington Palace in a public display of grief? I didn’t watch Diana’s funeral on TV, although I have seen various clips of it over the years, most poignantly her two young sons following her coffin under the gaze of a worldwide audience. In contrast to all the pomp and ceremony that accompanied Diana’s day, I have recently organised a funeral on the other end of the scale – an occasion as low key as possible, to minimise my mother’s confusion when we buried my father; the aforementioned Peter Thompson. My mother has vascular dementia (as did my father) and is basically away with the fairies. Lucky her. Because he had no religious conviction whatsoever, we opted for a graveside ceremony only in order to shorten proceedings. Overcoming pronounced differences in height, my sons and niece were pallbearers of a coffin decorated with Spitfires – although Peter wasn’t a pilot, his father was during WWI (not flying Spitfires, obvs – Sopwith Camels, I believe) and it was most likely his influence that fired an interest in vintage aircraft in his youngest son, who had quite an impressive collection of dust-attracting models. On the coffin lid sat a single red rose (donations to charity in lieu of flowers) and a battered old trilby that my father insisted on wearing to annoy the grandchildren, having a whole shelf of much newer/smarter hats in his wardrobe. Instead of a priest or celebrant, we used the services of the Conductor; he was part of the funeral director’s staff, in charge of the proceedings and making sure everything ran smoothly. It was him who read out a short eulogy and tributes written by the grandchildren – he didn’t look at all like Mr Conductor of Thomas the Tank Engine fame. Well, not much. When it was over, we all adjourned to a local hotel for some much-needed alcoholic refreshment and buffet food – not a stale sausage roll to be seen – and in a final act of symbolism, each grandchild launched a black star helium balloon skyward from the car park. This may have given pilots taking off from Heathrow one or two worrying moments. I was talking over the garden fence to neighbour David recently – his mother died a few weeks before my father, and he so rightly observed that there’s nothing like a death/funeral to bring out the very worst in people. No horror story I could relate beats the behaviour of his step-father, who refused to let David and his sister into their family home, after his wife died. 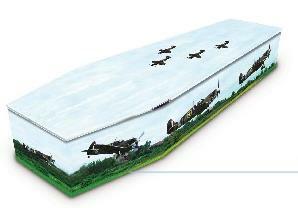 He also arranged an alternative, rival wake to David’s, following the funeral that David organised and paid for, and – most bizarre of all – ordered from the florist an ostentatious wreath spelling out HUSBAND, to ride along with the coffin! Huh? 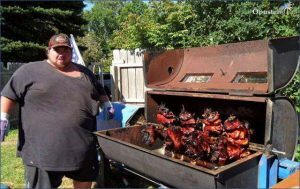 That should surely be termed a grave offence – so sorry! Nowt so strange as folk, as they say. Those shenanigans are pretty hard to top, so I won’t try and I’ll say toodles, until we meet again. Huge thanks as ever hun. Fun, thought provoking, moving and- as an added bonus- a history lesson. Love it. Great, as usual. You always make me laugh even though there was quite a lot of death, dementia and funerals in this months offering. We had a friend of the family who was Australian, Bob Pitt and his wife used to come on holiday with us. One year his Aunty Glad had come over from Oz for a holiday and accompanied us. her most memorable Australianism was always referring to the tea brewed in the open on a primus stove as Goodie-tea! Thanks, Gilli! Got to love the Aussies 🙂 Nick has dual citizenship, but has never been there. Love it, so interesting. Carry on carrying on.